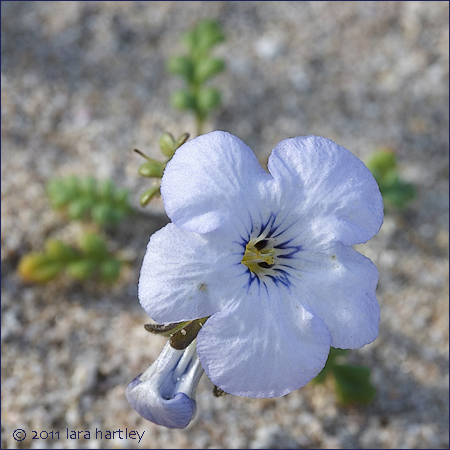 Description: Phacelia fremontii is an annual plant with a funnel- to bell-shaped tube and flowers that are blue to lavender with a yellow throat, 7-15 mm long (rarely to 20 mm). The decumbent to erect stem is branched at base, minutely hairy and generally glandular. 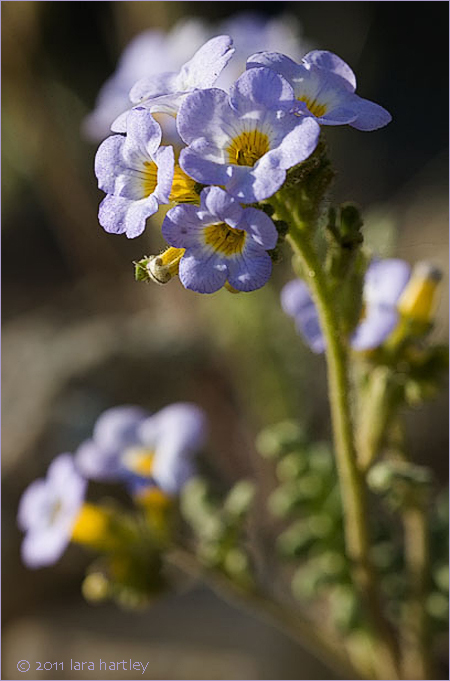 Notes: Phacelia fremontii, is a dicot that is native to California and is also found outside of California, but is confined to western North America. It was named for explorer John C. Fremont. These photographs were made March 24, 2004 in the Cuddeback Lake area, San Bernardino County, California and Feb. 26, 2005, in Short Canyon, Kern County, California.